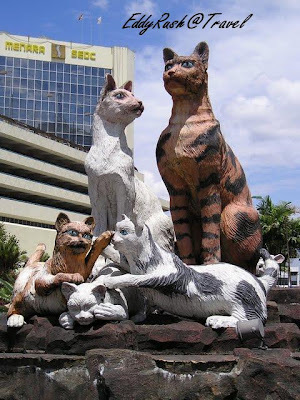 Kuching,officially the City of Kuching,and formerly the City of Sarawak, is the capital and most populous city of the East Malaysian state of Sarawak. we take flight from LCCT to Kuching...it takes 1 hour 45 minute flight...when we reach there..one of my fren family members come and fetch us from airport to home...much thanks to them too..
Another day dinner,my fren's dad cook a homemade CURRY LAKSA ,HE almost spend 2 hours to prepare the meal...we wait at kitchen while chit chat....and give some small help that we can help...wuahahaha...TADAAAA....THIS WHAT WE GET! !